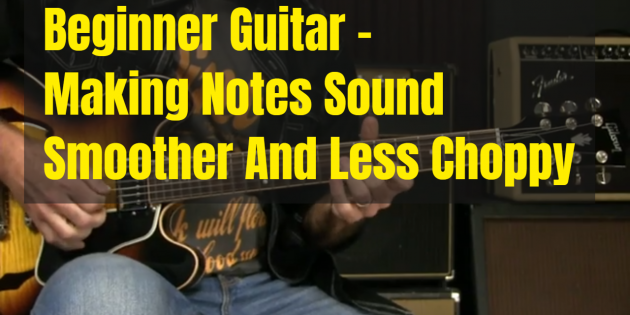 Many beginning and lower-intermediate guitar players I work with have a tendency to cut all the notes short… and it’s just one of those things the separates the pros from the amateurs quickly. Luckily, it’s not something that takes hours and hours in the woodshed. Like many things, simply being aware of it, and focusing on it for a few minutes each day usually solves it. So in this video we’ll talk about the problem of cutting all of your notes short, and how you can focus on the problem and play slowly to correct it. I don’t have this problem until you throw in a bend, where you have to purposefully mute the bent note with your right hand. This extra step causes the choppiness which I find is unavoidable. This the exact problem I have….now I have a fix. Thank you!! Another good tip. Thanks, Griff! Yes guilty as charged, I do that but never noticed before.